In We Bury Our Own leading contemporary Aboriginal artist Christian Thompson presents a ground-breaking new body of work, consisting of eight large photographic self-portraits and a video installation, made in response to the Pitt Rivers Museum’s historic photograph collection from Australia. Christian is one of the first two Aboriginal students to study at the University of Oxford in its history, thanks to the Charlie Perkins Scholarship programme, studying for a DPhil in Fine Art at the Ruskin School of Drawing and Fine Art. “I conceived the We Bury Our Own series in 2010 after curator Christopher Morton invited me to develop a body of work that would be inspired by and in dialogue with the Australian photographic collection at the Pitt Rivers Museum. As an inaugural Charlie Perkins Scholar, and one of the first Aboriginal Australians to be accepted into Oxford University, I knew that this project would be a fantastic platform and unique opportunity to engage with the collection and to make a vital contribution to the cultural fabric of Oxford University, to create a new gateway to consider such material. I wanted to generate an aura around this series, a meditative space that was focused on freeing oneself of hurt, employing crystals and other votive objects that emit frequencies that can heal, ward off negative energies, psychic attack, geopathic stress and electro magnetic fields, and, importantly, transmit ideas. I lamented the passing of the flowers at the meadow, I lit candles and offered blood to the ancestral beings, looked into the black sparkling sea, donned the Oxford garb, visited the water by fire light and bowed at the knees of the old father ghost gum. I asked the photographs in the Pitt Rivers Museum to be catalysts and waited patiently to see what ideas and images would surface in the work, I think with surprising results. Perhaps this is what art is able to do, perform a ‘spiritual repatriation’ rather than a physical one, fragment the historical narrative and traverse time and place to establish a new realm in the cosmos, set something free, allow it to embody the past and be intrinsically connected to the present? 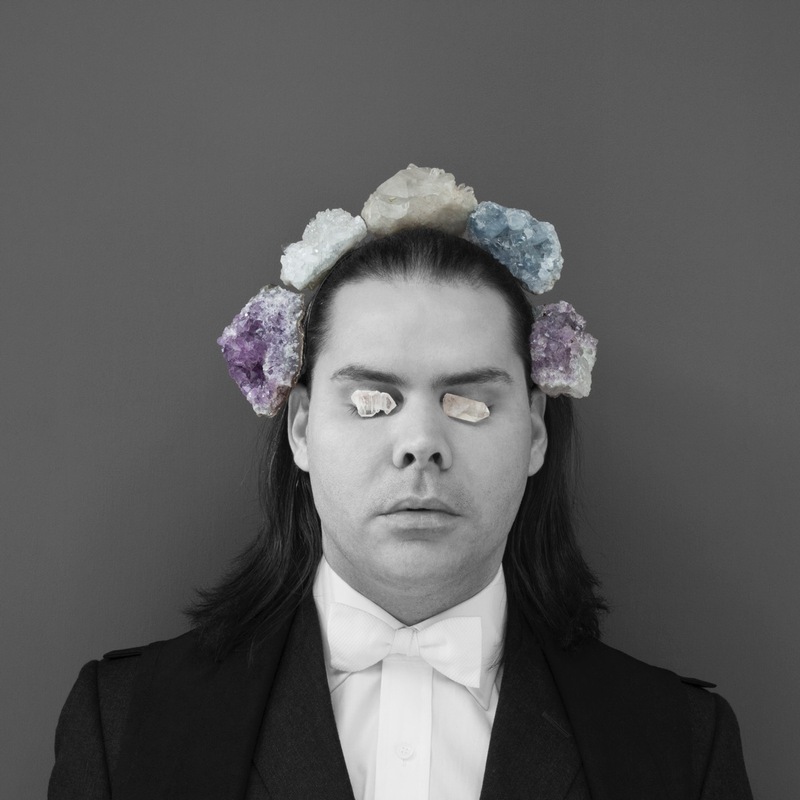 Christian Thompson is one of Australia’s leading contemporary Aboriginal artists. He was born in Gawler, South Australia, and is of Bidjara (indigenous peple of South West Queensland) and British heritage. The video work presented in this exhibition – titled ‘Dhagunyilangu’ (Brother) – is a song written by the artist, and is sung in Bidjara. 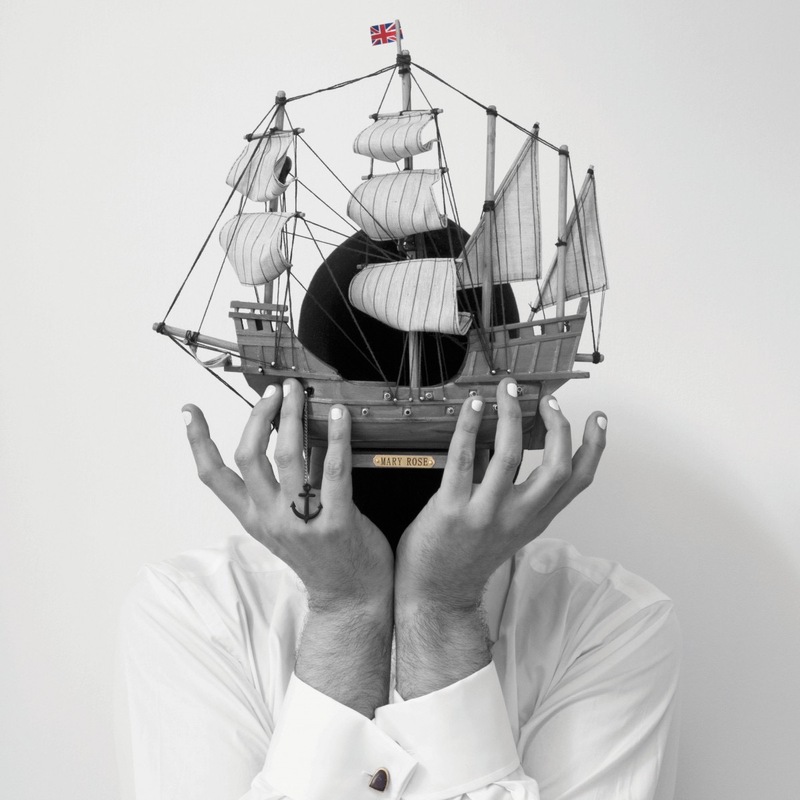 Christian Thompson has shown his work internationally for a number of years. His work ‘Gamu Mabu’, shown at the 17th Sydney Biennale in 2010, was included in a major exhibition of Korean and Australian art at the Museum of Contemporary Art, Sydney, Australia. In 2011 he undertook a residency at the Australia Council for the Arts’ Greene Street Studio, New York, and the Fonderie Darling Studio, Montreal. Christian Thompson’s We Bury Our Own is, to borrow a phrase he used in conversation with me recently, a project involving the ‘spiritual repatriation’ of the archive. Of course, the physical repatriation of Aboriginal human remains is also a process with deep spiritual significance and resonance to those communities involved in receiving them. But in the case of archives – and in particular photographs – those ancestors held in the images remain in the storerooms of remote institutions even after copies have been returned or shared online. The reproducibility of the photographic image means that the surface information it holds can easily be shared, especially in the digital age. But the images of ancestors, as ethnographic studies around the world now show us, are more than the chemical traces of light on a surface – they have a direct and spiritual connection to the person photographed, and so hold significant spiritual and emotional qualities. It is this creative tension, between the archive as a permanent ancestral resting place, and yet as a reproducible, recodable, and dynamic historical resource, that lies at the heart of Thompson’s concept of the exhibition space as a spiritual zone. 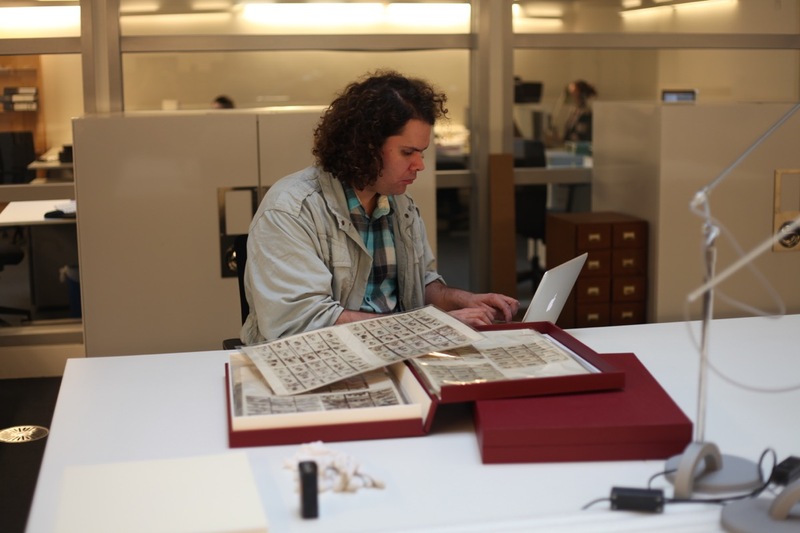 Over the past year, Christian Thompson has made several research visits to view historic photographs of Aboriginal people at the Pitt Rivers Museum, University of Oxford, mostly dating to the late nineteenth century. The collection was built up after the Museum’s foundation in 1884 as an anthropological research resource, and the Museum’s first Curator, Henry Balfour, used his extensive contacts in Australia, such as close colleague and friend Baldwin Spencer, to build up the archive. The experience of working with this collection has been an emotional and yet productive one for Thompson, and also a very welcome innovative collaboration from the Museum’s perspective. Although not explicitly quoted in the work made as a result of this engagement, both the experience of looking at the historical images, the modes of representation they carry, and the painful histories they hold, can be understood as lying at the heart of the work. Rather than directly invoking or re-presenting historic imagery, as is evident in the work of other artists such as Brook Andrew (who has also worked extensively with archives), Thompson has chosen to take the history of photographic representation of Aboriginal people as a starting point for the spiritual repatriation of the archive through the redemptive process of self-portraiture. Importantly, this process has not involved drawing on those historical markers of identity which are so prevalent in ethnographic imagery, but rather his own fluid and evolving transcultural identity, as well as biographical markers of another recent identity, that of an Oxford student in formal dress. Although archival imagery is a key inspiration in Thompson’s work generally, he is inspired by the materiality and composition of a wide variety of images from many different reference points such as contemporary fashion, film, and music. It is this playful blending of genres and reference points that not only makes Thompson’s approach distinctive, it also resonates historically with the blending of scientific and popular genres in the archival imagery with which he has engaged during this project. The use of crystals also points to beliefs, not necessary Aboriginal, in the healing qualities of certain stones, and that their physical contact with the body (Thompson places them also on his eyes) will channel the spiritual world into the corporeal. The spiritual mediation of crystals in the work connects the various strands of history, culture and representation, and places the work in a new context – that of the spiritual connectivity between the museum, the archival images of ancestors, and the embodied viewer. It is this set of temporal and corporeal connections that Thompson sees as the creative process of spiritual repatriation. We Bury Our Own also emerges from the wider context of an international research and community project in which the Pitt Rivers Museum is involved, ‘Globalization, photography, and race: the circulation and return of Aboriginal photographs in Europe’, led by Dr Jane Lydon at Monash University, funded by a grant from the Australian Research Council. This project explores the momentous intersection of new digital technologies and Aboriginal traditions surrounding visual imagery. The research also looks into the global circulation of photographs of Australian Aboriginal people that began in the 1840s, and their central role within the emergence of modern views regarding race and history. It investigates the significance of colonial photography to Indigenous communities, and through international collaboration returns photographs currently housed in four key European collections (including Oxford) to descendants, providing an important Indigenous heritage resource and a travelling exhibition. As a significant body of new work by an indigenous Australian artist engaging with a European collection, We Bury Our Own is a major outcome of this project. As the project proceeds, and the historic images are made more available to indigenous communities, many more creative engagements, appropriations, and repatriations will hopefully take place. One of the biggest responsibilities of museums and archives today, argues Aboriginal writer and curator Michael Aird, is to make collections available to Aboriginal communities, despite the anxieties of curators about the best ways to go about this. 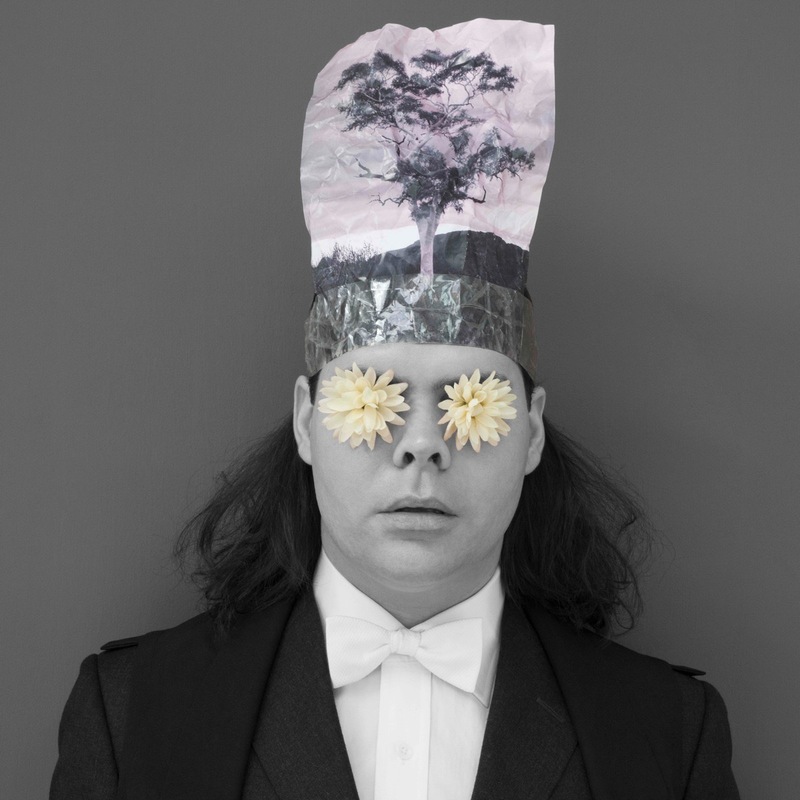 As Christian Thompson’s new work shows us, Aboriginal artists and curators are moving into an exciting new phase of creative engagement with their visual history, one that moves the debate on from the politics of race and injustice, towards multiple, complex, and hybrid identities in the present, and into the future. Christian Thompson: We Bury Our Own from Pitt Rivers Museum on Vimeo. A catalogue booklet has been produced by the Gallery Gabrielle Pizzi to accompany the exhibition: Christian Thompson: We Bury Our Own (Fitzroy, Australia: Gallery Gabrielle Pizzi, 2012).